And here is the story. I really didn’t feel like this was working; in fact, it was pretty clear to me almost from the beginning that it wasn’t going to work but I stuck with it for a while. 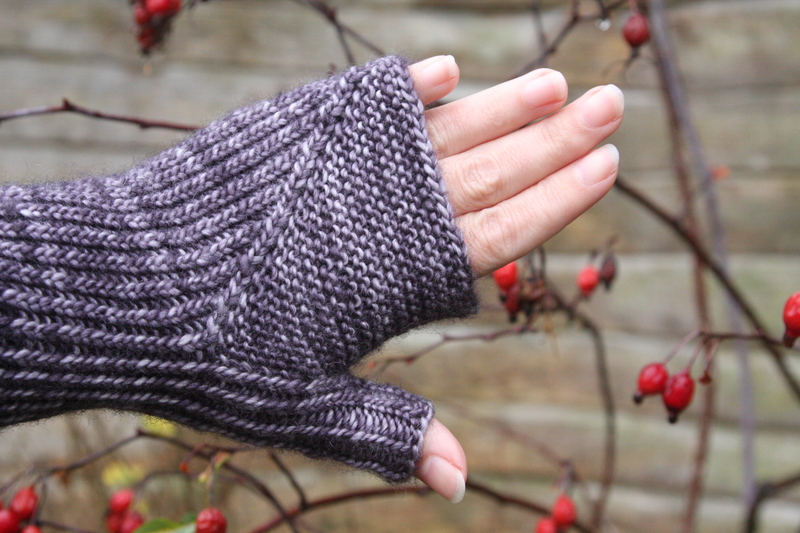 Leah, who writes this lovely knitting blog, left a comment on my post, in which she says: “It is amazing how the wrong yarn can make such a huge difference in even such a small project as mitts. Good for you for not trying to force the yarn on the project. ” This comment made me think about what exactly was wrong with this yarn-pattern pairing – it also made me realize that there are other people out there who think about things like this. So, for those of you who care about such things, I will discuss it further here. For the rest of you, feel free to look at the pretty photos and ignore those pesky words. 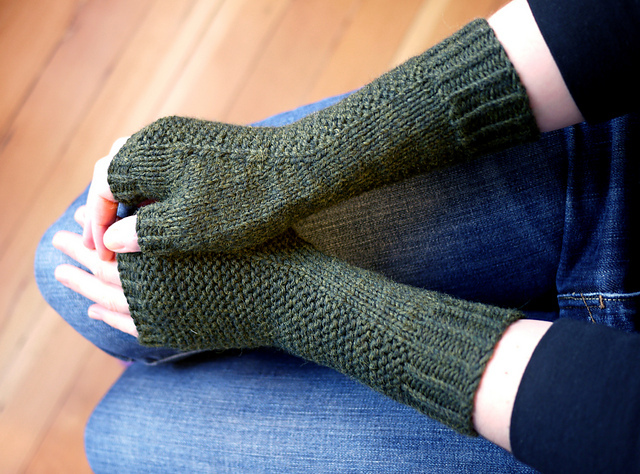 The Masonry mitts are designed to be knit with Cascade 220, which is a plied yarn with a tight twist; it is a sturdy yarn, what we call a “workhouse yarn”. The Madtosh is a soft, fluffy, un-plied yarn which is very splitty. Cascade 220 could be described as architectural – it will keep its shape. It has substance. The Madtosh is lovely and light and unformed; if left to its own devices it will flop. When I tried to knit the Masonry knits with the Madtosh, there wasn’t enough structure to hold the shape. I could have attempted to mitigate this by knitting with a much smaller needle and forcing a tighter fabric. However, another design mismatch was also at play here. 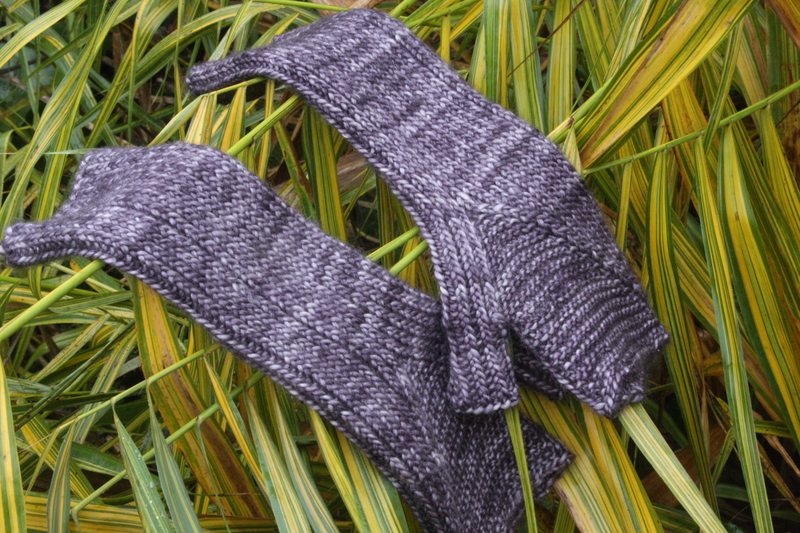 The Masonry mitts have vertical columns of garter stitch and stockinette stitch. Most knitters get different row gauges with the two stitches. This means that one half of the mitt (the stockinette portion) will end up measurably longer than the other half (the garter portion). Garter rows are tighter and pull the fabric together vertically. If you are using a yarn with a tight ply and a good twist, this will still happen, but it will be less obvious and more amenable to blocking. A good blocking fixed this problem. 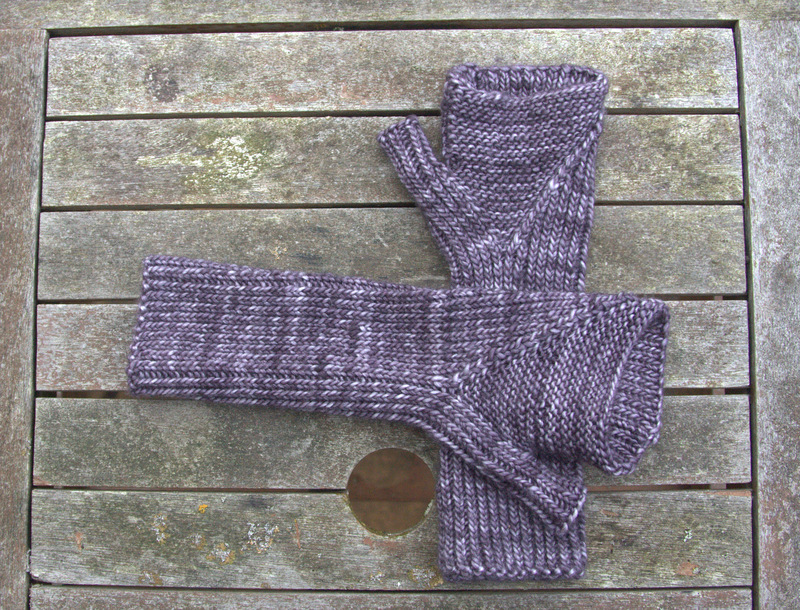 The main advantage of this pattern over the Masonry pattern, with respect to the Madtosh DK, is that the Toast and Jam Mitts are knit almost entirely in Twisted Rib. The twisted rib pulls in the knitting and keeps tight control on the otherwise unplied Madtosh; in other words, it gives it structure and keeps it tight. 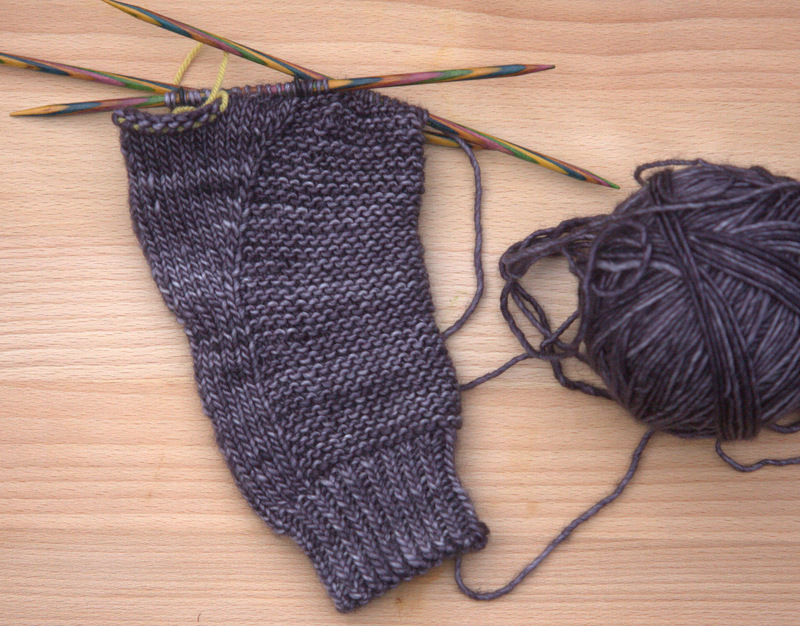 It doesn’t hurt that it is knit with a 3.5mm needle (a US 4) instead of the 4mm (US 6) that I was knitting the Masonry mitt with. I knit Leah’s beautiful cardigan with the Madtosh and it has flow and drape – it doesn’t need a tight gauge and a twisted rib. But a Mitt takes a lot of punishment – it doesn’t need flow and drape, it needs structure. The next time that you are considering substituting a different yarn for the one the pattern calls for, think carefully. What are the charicteristics of the fabric you want to create? How is it going to be worn? Does it need to be sturdy or delicate? Are you looking for structure or flow? And what are the characteristics of the yarn? 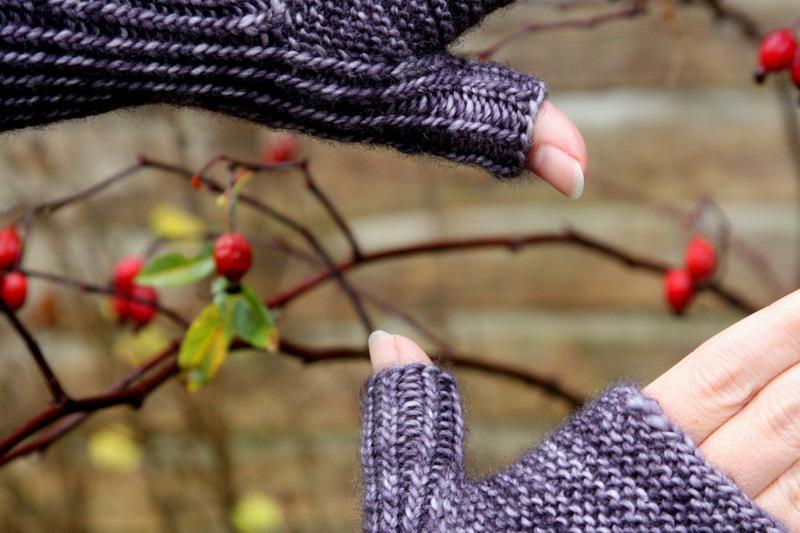 Once you think you have a match – go for it, be creative, that’s what make knitting fun! And when you can see that you’ve got it wrong, don’t be afraid to stop. Rip it out and try again. Then, you’ll have a match made in heaven. This entry was posted in Finished Project and tagged Cascade 220, Knitting, Madelinetosh DK, Masonry mitts, Toast and Jam mitts by knitigatingcircumstances. Bookmark the permalink. I certainly have mismatched yarn and pattern in the past and didn’t like the finished product at all. I never really understood why until I read your post. Thanks for a very complete analysis of the problem. I will definitely make sure I have the correct yarn for the pattern using a similar thinking process. 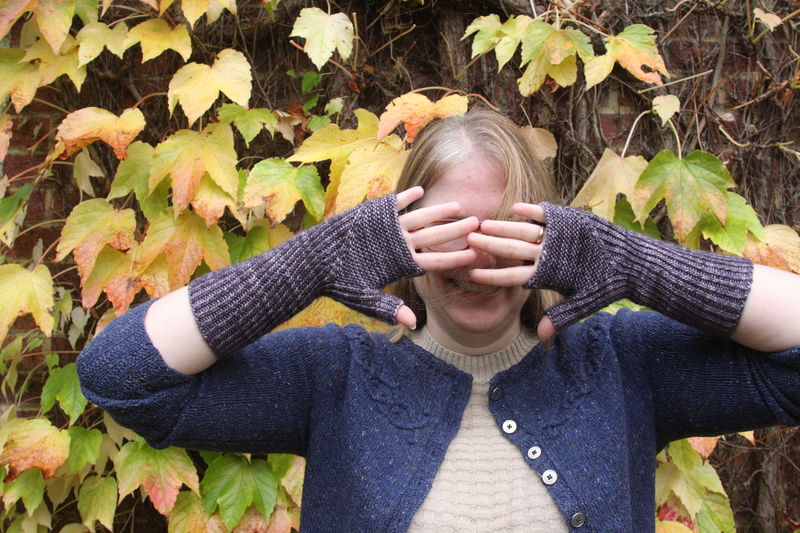 BTW, love the mitts! !